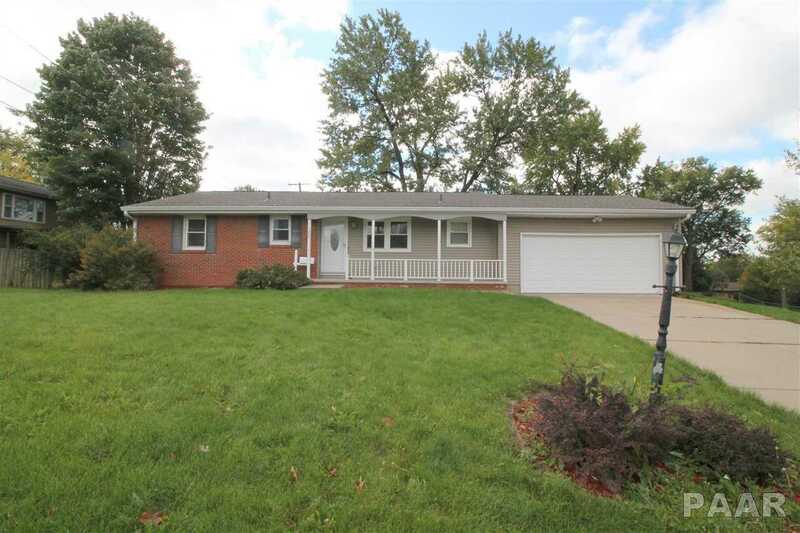 Absolute move-in condition ranch home with 3 bedrooms and 2 full bathrooms! Updated eat-in kitchen with stainless steel appliances, tiled back-splash, and white cabinetry! Living room features built-ins, hardwood flooring, and sliding doors that lead to the patio! Beautiful hardwood floors in all of the bedrooms! Full finished basement with a rec room, perfect for entertaining! Large yard in both the front and back! All that’s left to do is unpack and enjoy your new home! 1 year home warranty and radon policy are included! Please, send me more information on this property: MLS# PA1199095 – $139,900 – 1302 W Tobi Lane, Peoria, IL 61614. I would like to schedule a private showing for this property: MLS# PA1199095 – $139,900 – 1302 W Tobi Lane, Peoria, IL 61614. Copyright © 2019 Peoria Area Association of REALTORS®. All Rights Reserved.